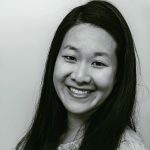 Published Oct 5, 2017 By Julia 37 CommentsThis post may contain affiliate links. This is the best appetizer that I’ve had in the past few months. 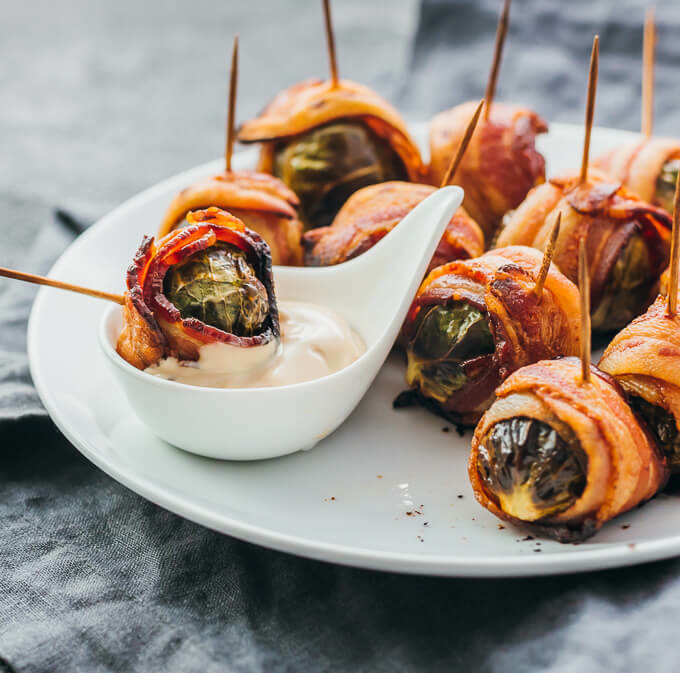 It’s incredibly simple (reminding me of bacon wrapped jalapeno peppers) — just four ingredients: brussels sprouts, bacon, balsamic vinegar, and mayonnaise — but so good when combined in the same dish. If you don’t like brussels sprouts, I can assure you that this dish will make you love brussels sprouts. 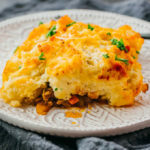 Do yourself a favor and make these this weekend, or at the very least, definitely make them for Thanksgiving this year and your relatives will thank you for it. These brussels sprouts are oven roasted until very tender, and during that time the bacon gets nice and crispy. 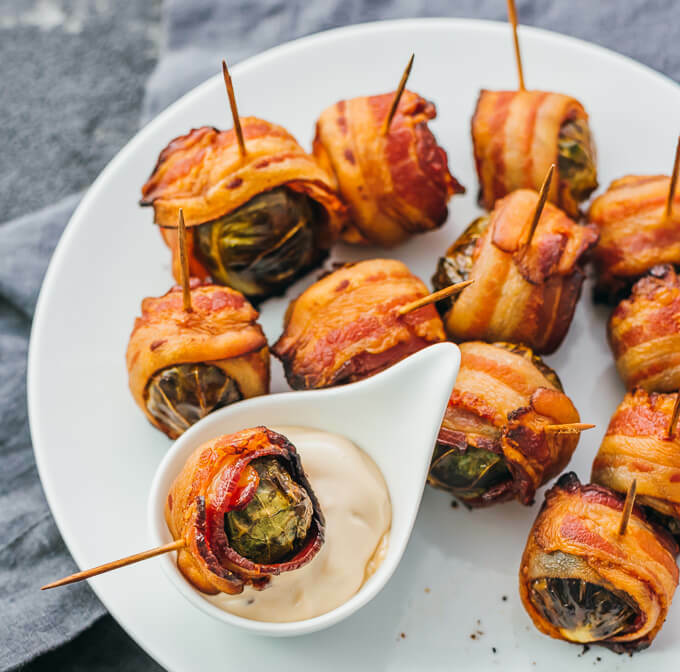 When you bite into these, you can barely feel the brussels sprouts because they are meltingly tender and it’s juxtaposed by the nice crunch from the bacon. I adore this simple appetizer and I hope you do too. Bacon and brussels sprouts go hand in hand, like steak and potatoes, or french fries and ketchup. I used to make pan fried brussels sprouts with bacon and cranberries for the holidays, but since adopting a lower carb diet, I’ve been thinking of ways to reinvent bacon and brussels sprouts while keeping the carb count low (see Instant Pot Brussels Sprouts). 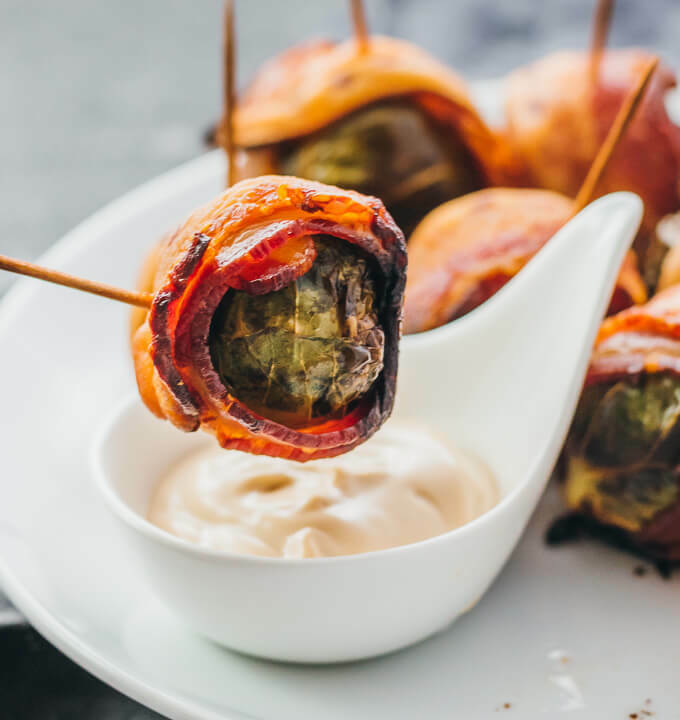 That’s where these bacon wrapped brussels sprouts come in. To keep the sprouts securely wrapped, I use a toothpick to hold them together while baking, and this has the added benefit of making it super easy to handle and eat them. They’re essentially finger food, and you can just pick one up by its toothpick and plop it into your mouth. It’s super handy if you’re making these for a party as well, and I highly recommend making them for your Thanksgiving festivities this year. 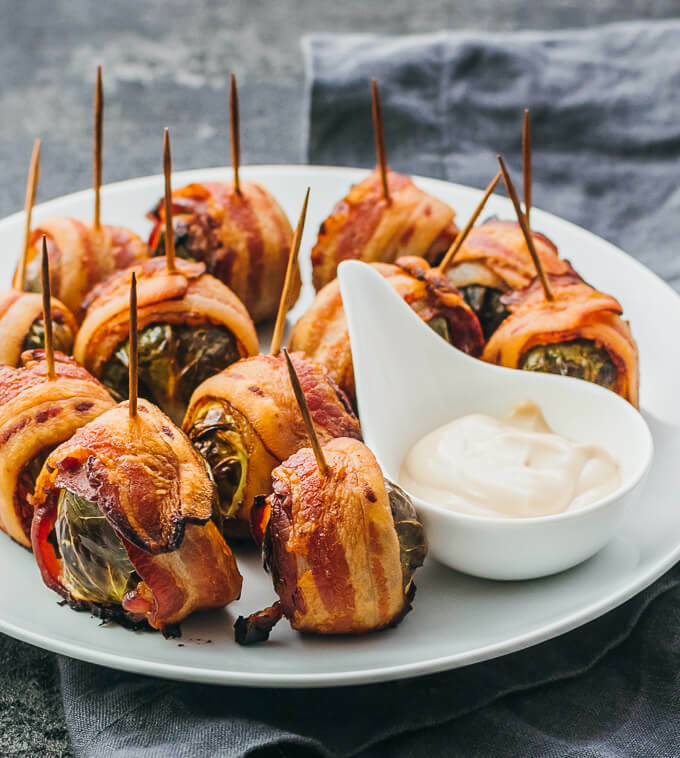 These bacon wrapped brussels sprouts are already fantastic by themselves, but they are even better with a balsamic mayo dip. The zing you get from the balsamic vinegar pairs well with the savory bacon and brussels sprouts flavors. Definitely give it a try. Do you think this could work w/ frozen brussel sprouts? Could you place these in a chafing dish to keep warm for a cocktail party? That could work. My only concern is that if they’re covered when they’re still very hot, there could be some steaming action going on and the bacon would lose its crispiness. Can these be served cold / room temp? I don’t think my hostess will have room in her oven and we have quite a drive to get to their house. They might be OK at room temperature. Not sure I’d recommend eating them cold. They are wonderful cold. We end up with leftovers every time I make this, and ill eat them right out of the fridge until they are gone. The only part of eating them cold, for us, is that the dip is usually gone, and I wont make another batch for 4 or 5 pieces. These were SO GOOD. We cut the bacon and brussels sprouts in half, and cooked them for only 30 minutes. It worked perfectly. They are delicious with or without the sauce. You’re welcome, Lisa. I’m really looking forward to making these soon for Thanksgiving this year. How could I keep these warm??? Keep them in the oven at 175 F or its lowest setting. 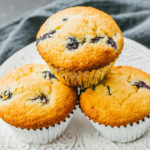 Can these be made ahead, kept warm and served about an hour later? Will they keep for that amount of time? If you can keep them warm, I think it’ll work. Another option is to assemble everything, store in the fridge, and only bake when you’re ready to do so. How well do you think this will work in an air fryer? We are in Southern AZ and try not to use the oven in the summer so the air fryer has taken it’s place for many baked/oven fried dishes. I work in an Oil and Vinegar store…what type of balsamic do you recommend for the dip? It looks like it would be a white balsamic, rather than dark (we sell both). Did you use an aged white, or what would you think about a jalapeño balsamic? I use a dark aged balsamic vinegar. The dip appears light in color because of the mayo. Jalapeño balsamic sounds delicious and I think it would work well. Hope you give it a try! 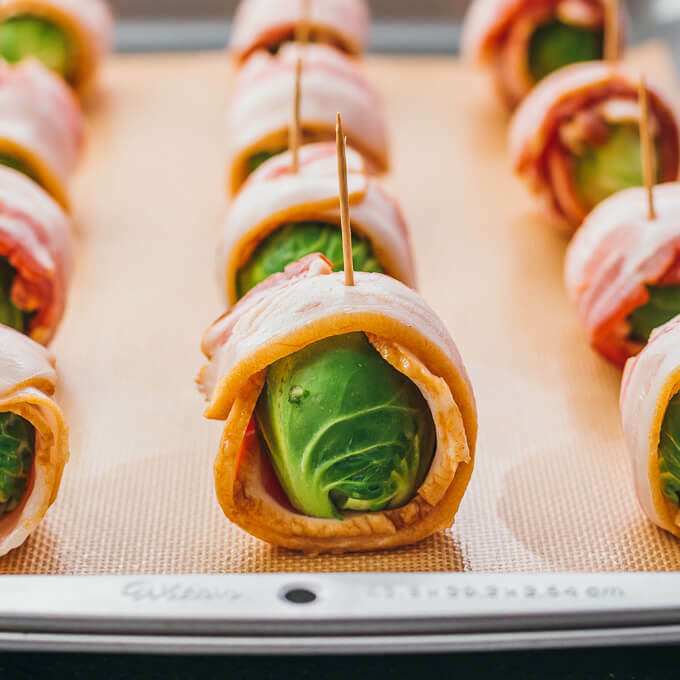 Do you really wrap a whole slice of bacon around each brussel sprout? Seems like a half slice might work better? 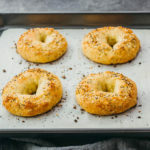 I’m planning to make these tomorrow and want to do it right! That’s right, a whole slice of bacon around each sprout. Bacon shrinks as it cooks, so I don’t know that half a slice would work out. I brought these to a football party and they were a big hit, even with some teenagers! SO simple to make too. Even used low sodium bacon and you couldn’t tell 😉 . Although I did make the balsamic dipping sauce for some reason it didn’t click with me – too “vinegary” to my taste buds I guess? – so instead I whipped some chili powder into some mayo, and added a little lemon pepper to imitate a salty taste without using salt. Delish! Wonderful!! Thanks for the detailed feedback. Your dip sounds amazing; sometimes I do something similar for a spicy chipotle mayo dip. I just signed up to receive your recipes. I can’t wait to make this one. My husband and I are trying to make better food choices and this one looks perfect. Thank you so much for sharing your recipe. These look so easy and good. Can’t wait to try them. These were great and didn’t even need the dip, but that was great too!! These were so simple & SO delicious! The recipe seemed too simple & I expected to have to tweak it, but was surprised to find they were perfect as is! Even converted a non-brussel sprout eater. What type of bacon do you use? I typically use Trader Joe’s uncured, dry rubbed, sliced bacon. It’s 12 ounces for about 14 slices in a package. Frozen or fresh Brussel sprouts? Have you frozen them and reheated? Hi Lorrie, I haven’t tried freezing them before. If you give it a shot, let me know how it goes! Can you make this ahead of time and heat up? Like for apps on thanksgiving? Hi Chrissy! I would wrap the brussels sprouts ahead of time, place them on a baking tray, cover and refrigerate. Then on Thanksgiving day, I would take them out of the fridge and pop them into the oven. My only worry is that the inside of the bacon would be mushy/slimy. Any thoughts? Hi Laura, the inside of the bacon isn’t mushy or slimy at all — it’s quite crispy from the long baking time. Let me know if you have any other questions! GENIUS! The bacon and brussels sprout combo is SO darn good, and I love that this version makes it so easy to share. Love it!